Have you ever mounted a video camera on your car and set out on your favourite country road? Most of the time, it always turns out the same. You drive to the best of your abilities and you’re positive you’ll blow the minds of millions of YouTube viewers around the world. Then you get home to watch a video of what appears to be a middle aged old man driving your favorite road in a in and under powered family wagon. It never looks as fast as it feels. Liber Federico of Italy doesn’t have this problem. 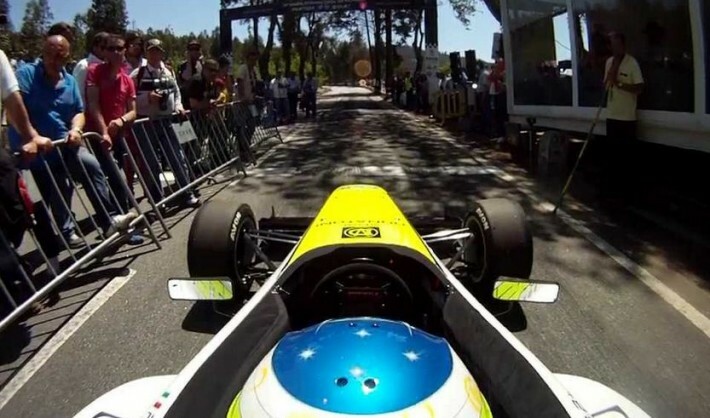 He competes in the European hill climb circuit, and going by this terrifying video, he’s rather handy behind the wheel of his Gloria CF8. The CF8 is an entry-level open wheel racer, usually powered by a 1000cc and up sport bike engine. The video was shot at the Cividale Castelmonte Hill Climb in Italy, where Federico won by a massive 20 seconds. It was his third win of the season. Also, stick around for the end of the video to see the awesome variety of new and vintage hill climb racers in the car park.